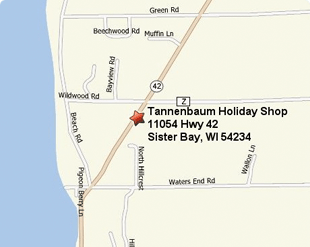 Tannenbaum Holiday Shop, Premier Gifts and Collectibles for All Seasons, was established in 1978 in Fish Creek, Wisconsin, in the midst of the beautiful Door County Peninsula. 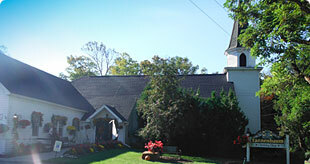 We have Premier Dealer status with many fine collectible lines such as Byers' Choice Carolers, Fontanini Nativity, Department 56, Christopher Radko and David Frykman to name just a few. Due to the continued frigid temperatures, Tannenbaum Holiday Shop will be closed today. See you Friday at 10am! Due to winter weather conditions and hazardous roads, we are closed today. Stay safe!